There’s nothing quite like launching a new business together to make or break a romance. For partners Sharon Chaffe and Rick Maxwell when they started their Queensland jet ski and parasailing venture, Uplift Watersports, they put their business skills and relationship to the test. Today it’s safe to say they made the right choice. 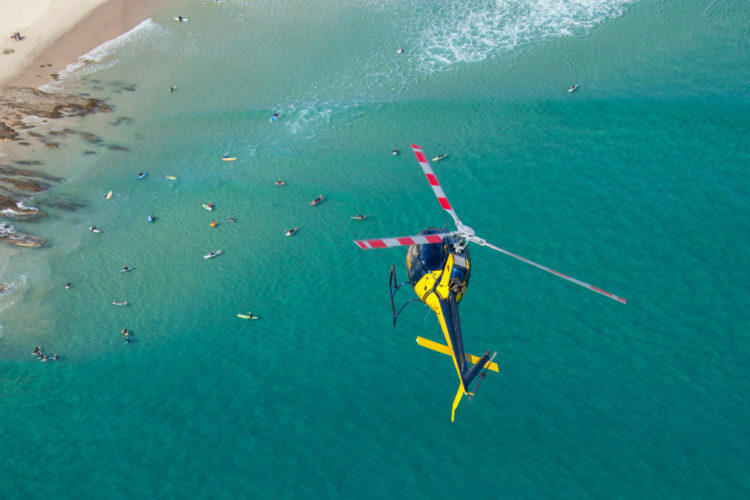 Their busy, successful operation can barely keep up with demand for their guided jet ski tours and parasailing trips up and down the Port Douglas coast. One way the couple has kept their sanity, and reduce their stress, as they have grown has been leveraging Wherewolf to save time, reduce paperwork, and streamline the collection and collation of customer marketing data and liability waivers. 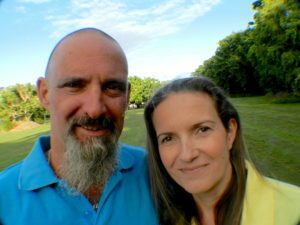 Both Sharon and Rick had more than 20 years experience in the tourism industry, but it was a combination of bad luck and serendipity that gave them the push they needed to go out on their own. In 2013 Rick was working as a skipper for another parasail company, which decided to relocate from Port Douglas to Cairns. With Rick out of a job, the couple joked about starting their own company. But it wasn’t until they found a bright yellow boat for sale online that things started to get real. “We were looking at this listing when Rick realized that it was actually the very same boat that he had helped build back in 1995,” Sharon says. Their business idea was meant to be. Even though they had only been seeing each other for a few months they decided to take the plunge. They bought the boat, affectionately nicknamed ‘The Duck,’ and it was delivered to its new home in Port Douglas, the Crystalbrook Superyacht Marina, in early 2014. Alongside the parasailing business, Rick was working part-time as a security guard for the marina. It was on one of his beats that he noticed a shop had come up for lease. Seeing it as another sign, the couple decided to take the premises as a base for their burgeoning business. “When we took on the lease the whole shop was painted black – it took so many undercoats when we were repainting!” laughs Sharon. Because of the weather-dependent nature of parasailing, Sharon and Rick introduced guided jet ski tours to Uplift Watersports as the business continued to grow. This meant employing their first staff members and, finally, allowed Sharon to quit her other part-time job. But as the business has grown, so too has the paperwork. As with any adventure sport, safety is paramount, and Sharon was finding herself bogged down with mountains of paper waivers and forms. “We were using paper. Lots and lots of paper,” she said. At the end of 2016, the Uplift team switched to the Wherewolf app. “I was sold as soon as I heard ‘saves paperwork’ because I was going insane!” Sharon laughed. “If we were doing four parasailing trips and four jet ski trips per day, each with ten people, we’d be generating over 100 pieces of paper every single day,” she said. “With the jet skis, we had the waiver form, the briefing, and then the hire and drive form – so three pieces per person. Add in the printing, ink, time, filing, all of that; it was unbelievable,” Sharon said. 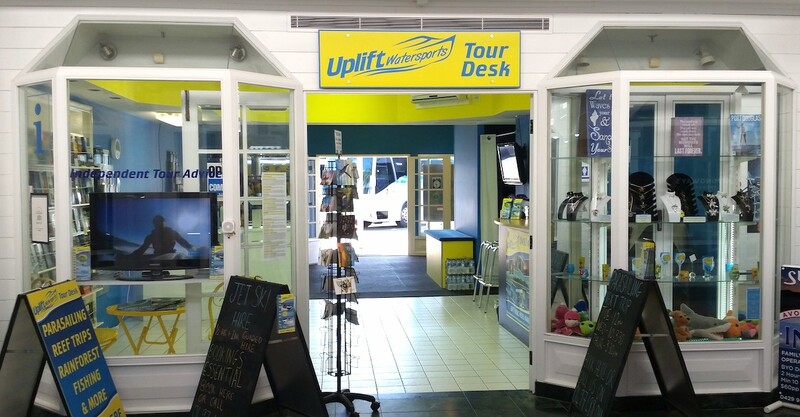 Just as Uplift Watersports had almost outgrown the small shop when, coincidentally, the retail space next door came up for lease. The question was, should they expand? By this time the company had started using Wherewolf to handle customer check-in, collect customer marketing information, and capture a digital waiver. The data the software was gathering about customers was helping Sharon and Rick assess what marketing was working, understand where customers were coming from, and identify opportunities to grow. One of the key customer insights provided by Wherewolf gave Sharon and Rick the confidence to expand their retail footprint. “We were able to see in our Wherewolf Dashboard how our customers had found out about us. The biggest percentage, by far, was from walking past the shop. That data gave us the confidence to say ‘let’s do this’ and expand the floor area,” she said. “The shop in its location has really increased our business. Having the double frontage has made a massive difference. Wherewolf has definitely been beneficial in that respect,” Sharon said. 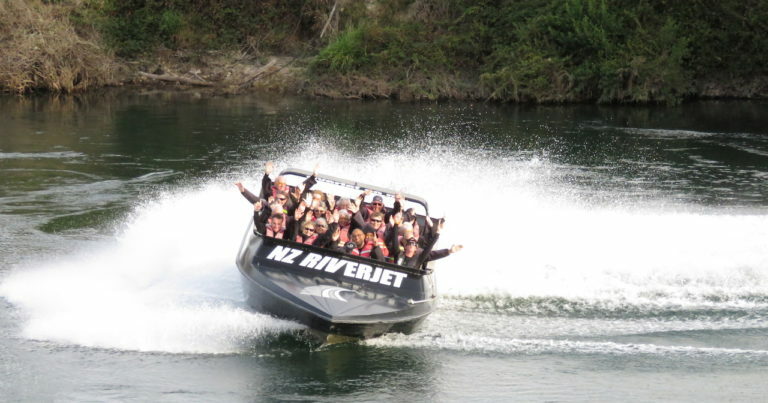 “But where Wherewolf really comes into its own for us is with jet ski hire,” she noted. “There are a lot of regulations and safety concerns. We must be able to prove that we’ve given the customer all of the safety information they need,” which Wherewolf does Sharon said. 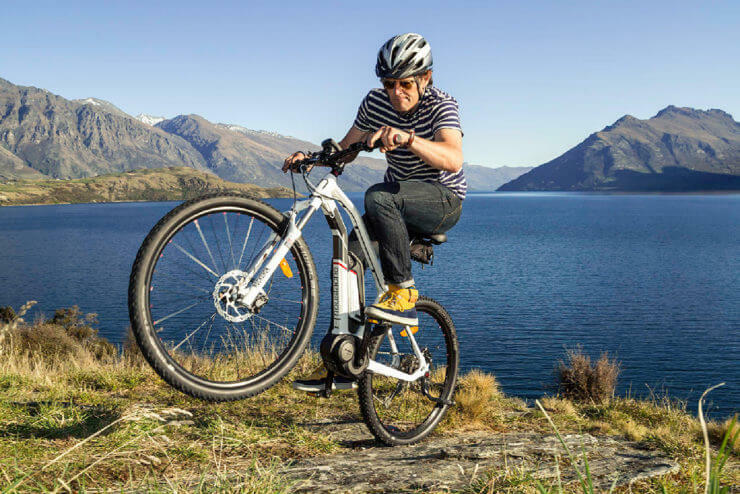 “The Wherewolf arrival app gives participants all the necessary safety information. They have to declare whether or not they can swim and whether they have any alcohol or drugs in their system. We then sign off on it, they read the liability information and then they sign as well.” Sharon said. 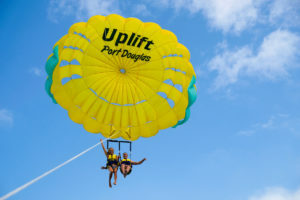 Learn more about Uplift Watersports on their website, http://www.portdouglasparasailing.com.au/.